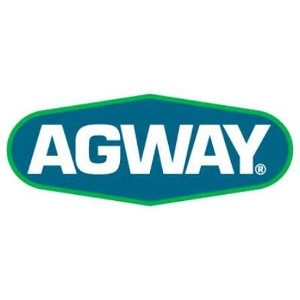 Agway ® 4 Stage Lawn Program makes it easier to have a lush, green lawn. Our 4 simple applications eliminate the guesswork and give you professional lawn care results. Each stage combines just the right amount of fertilizer with the right amount of control and prevention. Just match each stage to the correct season and you’ll prevent crabgrass, control weeds and prepare your lawn for winter. It’s what your lawn needs for strong growth. Apply March 1 through April 30. Prevents crabgrass all season. 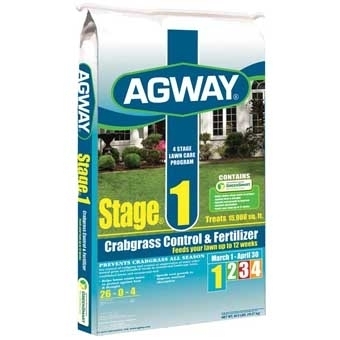 For control of crabgrass and control or suppression of many other listed annual grass and broadleaf weeds in established lawns and ornamental turf. Now featuring “GreenSmart” enhanced efficiency fertilizer for a green lawn! Helps lawns retain water to protect against heat & drought. Speeds root growth to improve nutrient absorption. 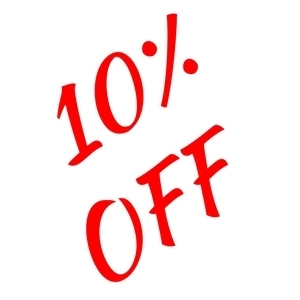 Feeds your lawn up to twelve (12) weeks. Not for sale in AL, FL, GA, IL, IN, KY, LA, MS, NC, SC, TN, VA, and WV.